Stacy graduated from Columbus Lakeview High School in 2000. She entered the Physical Therapist Assistant program at Northeast Community College in Norfolk, NE where she was elected president of her class. 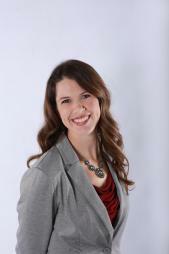 Stacy earned her Associate's of Applied Science degree and became a Certified Physical Therapist Assistant in 2002. Since that time, Stacy has gained invaluable experience in many different venues, including outpatient, inpatient, short-term and long-term rehabilitation care. Recently, Stacy has attended training courses for falls and balance, Parkinson's disease, and advanced exercises for the professional athlete. She is also a current member of the American Physical Therapy Association, with special interest in orthopedic, geriatric and home health care. Stacy and her husband, Brad have 3 children and live in Pierce. Stacy is thrilled to join the team at Pierce Physical Therapy where she can utilize her clinical skills to serve those in her own community.